Magna International's new hydrogen fuel cell and battery-electric hybrid platform is right on trend with the direction fuel cell vehicles are headed, one expert says. Renewable-energy consultant Geoff Budd told Automotive News Canada, a sister publication of Automotive News Europe, that other automakers and suppliers increasingly see the fuel cell/battery combination as a way to balance range requirements with speedy refuelling. Battery and fuel cell stacks can be sized according to a vehicle's mission, said Budd, whose past work includes fuel cell development with Ballard Power Systems and Daimler. Budd sits on the board of the Canadian Hydrogen and Fuel Cell Association. 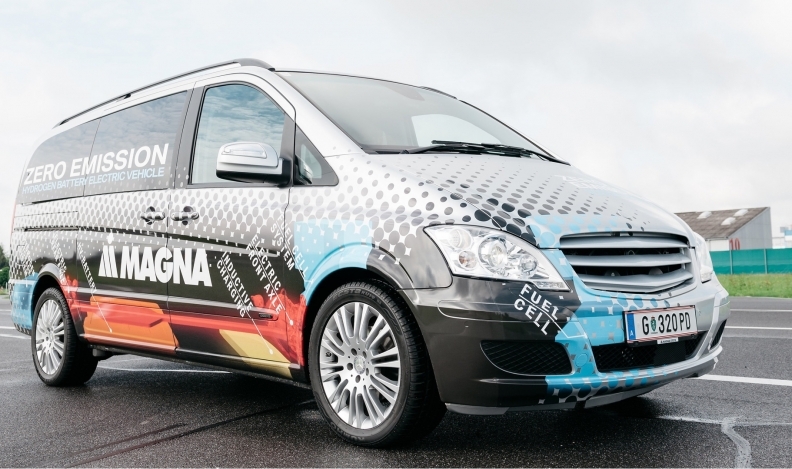 "We see from this approach that in terms of costs and performance we have key benefits for the end user," Guido Bartlok, Magna Steyr's hydrogen systems manager, told the Hydrogen Fuel Cell Conference in Vancouver in June. The French company Symbio FCell is testing a Renault Kangoo zero-emission plug-in hybrid commercial van with a range of more than 300 kilometres (180 miles). 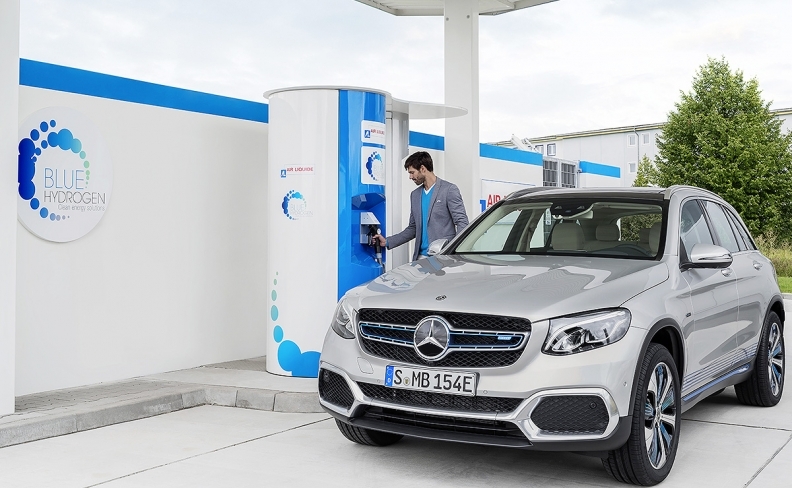 Meanwhile, Daimler plans this year to roll out a Mercedes-Benz GLC fuel cell/ battery plug-in hybrid SUV with a promised range of about 500 kilometres, claiming it will be the first such vehicle in regular production. Mercedes plans to roll out the GLC fuel cell/ battery plug-in hybrid SUV this year. "It really is an issue of what do you need the vehicle to do," said Budd. "It really doesn't pay," to use a fuel cell alone, Budd said. Bartlok told the conference that besides allowing for faster inter-city trips, Magna's FCREEV could be used in other roles where long range and fast refueling are important, such as for taxi and shuttle services. "We are just a contract manufacturer," he said. "Our OEMs are our customers, so we'll offer this to [show] our customers that we have the capability and the knowledge to do it."